Canada’s largest pharmaceutical company and the U.S. activist investor who overhauled CP Rail have joined forces in a mega-deal to buy Allergan, Inc. (NYSE:AGN), the maker of anti-wrinkle injection Botox. Quebec-based Valeant Pharmaceuticals Intl Inc (NYSE:VRX) said Monday it intends to propose a merger with California-based Allergan, using a combination of stock and cash, with the cash portion worth “around $15-billion,” according to U.S. regulatory filings posted Monday. A deal for Allergan would likely have a total value in excess of US$40-billion. 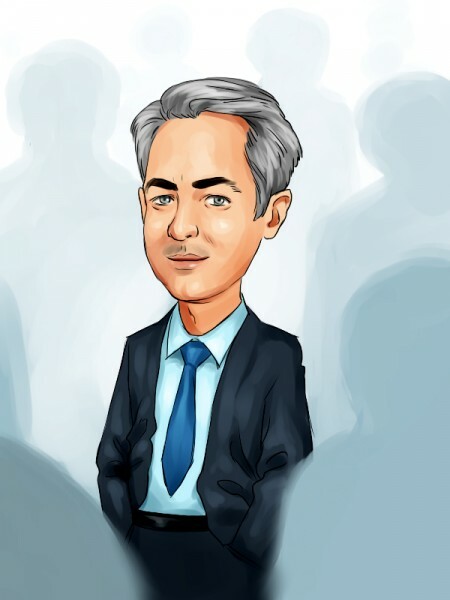 …Valeant signed an agreement with activist investor William Ackman’s Pershing Square Capital Management in February creating a jointly-owned entity to work together and acquire Allergan, filings show. Charles Van Vleet, Textron’s private pension fund CIO, gives his perspectives on why benchmarking against the HFRI is a mistake in a rising S&P environment in a recent Opalesque TV interview. He also forecasts a great merger between private equity and hedge fund managers, explains why the latter may be better at managing structured debt and what hedge funds can do to facilitate investments by allocators. The wrong way to use hedge funds His predecessor took on a 3% allocation in hedge funds and benchmarked it against the HFRI, he says, but he thinks it is the wrong way to use hedge funds. Chelsea Clinton and her husband, hedge fund manager Marc Mezvinsky, are expecting their first child. Clinton, 34, made the announcement in the exact same way you would, in a speech she gave together with her mother at a Lower East Side event promoting the Clinton Foundation’s effort to empower girls. The baby is due sometime this fall. Dear Baby Clinton-Mezvinsky: Welcome to advanced gestation! Since you’re new around here, I thought you’d like to know a little bit about what makes you so special. The reason is, you’re going to live your whole life in make-believe! To hedge fund manager Crispin Odey, it’s clear who is to blame for Manchester United PLC (NYSE:MANU) +6.09%’s decline this season, and it’s not David Moyes, who left his post as manager of the English soccer club on Tuesday. Mr. Odey, one of London’s richest and most successful traders, has been running a short position in the stock, revealed in December, and sees the club’s on-the-field problems as the result of underinvestment over a number of years. “The Glazers (the club’s American owners) have to be a little bit scared if revenues start slipping… In the arms race they’ve underinvested,” said Odey. David Sugarman, fund manager for Polar Capital, will discuss convertible bonds at the InvestmentEurope Pension Fund Forum held in Zurich on 15 May. Sugarman will address opportunities to generate income and growth with convertible bonds in the context of rising interest rates. He joined Polar Capital in 2011 and leads the credit and convertible bond research for the ALVA global convertible fund and the ucits global convertible fund. Sugarman holds an MBA in both International Economic Policy and Business Administration from Columbia University. Prior to joining Polar Capital, he ran the US convertible bonds positions for CQS, then a USD 7 bn multi-asset hedge fund, and the US-based proprietary convertible research for Barclays Capital. During the first quarter of 2014, investors continued to move increasing amounts of money into hedge funds, sending industrywide assets under management to a record, industry tracker HFR said. The alternative asset managers, who can theoretically make money in both rising and falling markets, collected a net $26.32 billion of new cash in the first quarter, the most in almost three years. The flows pushed hedge fund assets overall to a peak – $2.7 trillion, nearly double the total from 2008 – and marked the seventh consecutive quarter that the industry has hit a record. By the 1990s, wrote Sebastian Mallaby in his book More Money than God, ‘the hedge-fund titans were the new Rockefellers, the new Carnegies, the new Vanderbilts. They were the new American elite — the latest act in the carnival of creativity and greed that powers the nation forward.’ Mallaby’s 2010 book defended hedge funds against the charge that their short-selling activities against national currencies and publicly owned investment banks had precipitated the global economic crisis in 2008, and he feared that over-regulation would ‘encourage the industry to become a very large, concentrated set of players instead of a lot of scrappy start-ups’.